Interior rendering of planned Techadelphia project at 1525 American Street in South Kensington. It's been nearly two years since the exciting mixed-use project dubbed Techadelphia surfaced with plans for apartments and Olde Kensington. 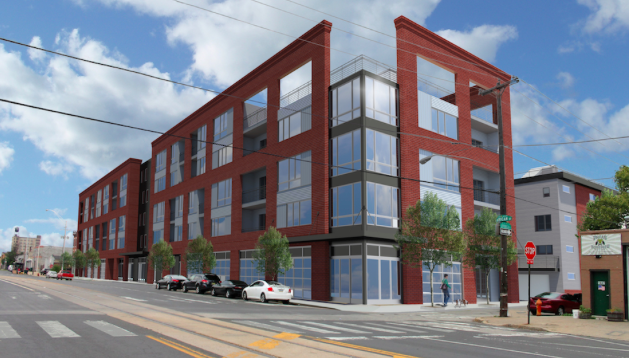 Led by Frankel Management Company and Streamline Solutions, the proposal at 1525 American Street promised 46 apartments, a restaurant, another retail space and — best of all — a massive, free co-working space for the five-story building's eventual tenants. Everything looked good at the time. The developer got a zoning variance approved and the project made it through the Civic Design Review process in February 2016. The public showed enthusiasm for the concept. And then there was no news and no evidence that the ambitious idea would be on the horizon anytime soon. After OCF Realty spotted signs of construction activity at the lot, a spokesperson for Frankel Management Company told PhillyVoice the plan to create a space tailored to tech entrepreneurs remains the same and early construction has in fact begun. Further inquiries were referred to builder Streamline Solutions, which is set to follow a blueprint from Harman Deutsch Architecture. Proposed 'Techadelphia' development in South Kensington. Attempts to reach Streamline Solutions were not immediately returned on Thursday afternoon. 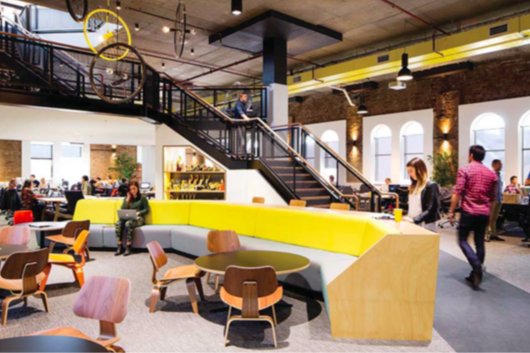 A new co-working space in the area, which has seen a wave of residential redevelopment in recent years, would likely have more staying power than the former Impact Hub at 4th and Thompson Streets if access was reserved for entrepreneurial tenants and their colleagues. Renderings of the project, contained in the original CDR application, show plans for a fitness area, lounge and other office accommodations. There's no indication of a timeline for the project at this stage. We'll update the story if we receive more information.